The University of Alberta’s Green Spaces Certification Program is designed to help UA community members integrate sustainable practices in their campus offices, labs, events and living spaces in residence. The Workshop for Instruction in Library Use, commonly known as WILU, is a certified Gold event and will take place May 23-25, 2017 at Lister Hall. Visit the WILU 2017 Conference web site for more information about this event. Learn more about the UAlberta Green Spaces Certification Program. Exciting news from our partners at The Alberta Library (TAL) who have arranged with Gale Cengage for province-wide access to the vast majority of Gale's Primary Sources databases. This acquisition provides all Albertans with perpetual access to 69 primary source collections! These include extensive resources related to First Nations and Indigenous peoples, the Associated Press Collections, Smithsonian Collection Online, Archives of Human Sexuality and Gender, Sabin Americana, and 25 titles from the Gale Virtual Reference Library. 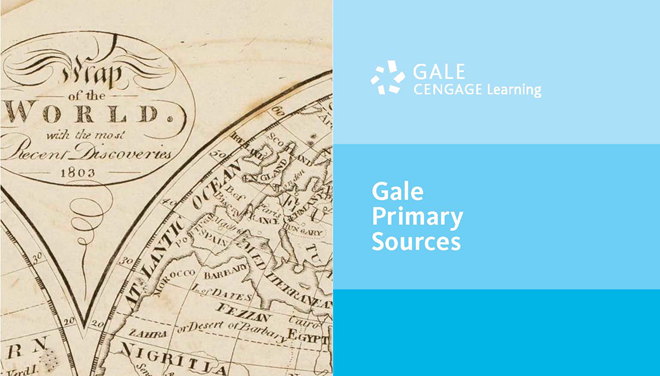 Gale Primary Sources uses geo-authentication, meaning anyone in Alberta with an Internet-connected device can access these resources with no need to log in or authenticate. You can also access the resources through TAL's web portal abresearchportal.ca. The province-wide access agreement was reached due to contributions made by institutions such as the University of Alberta, as well as: University of Calgary, Mount Royal University, University of Lethbridge, Edmonton Public Library, Calgary Public Library, Ambrose University, Burman University, St. Mary’s University, Medicine Hat College, Concordia University of Edmonton, Keyano College, Red Deer College, NorQuest College, Wood Buffalo Regional Library. The University of Alberta Libraries thanks The Alberta Library for being key provincial partners who facilitate the the coordination of services that benefit all Albertans.